Itzcoatl Ocampo AP Photo/Anaheim Police Dept. 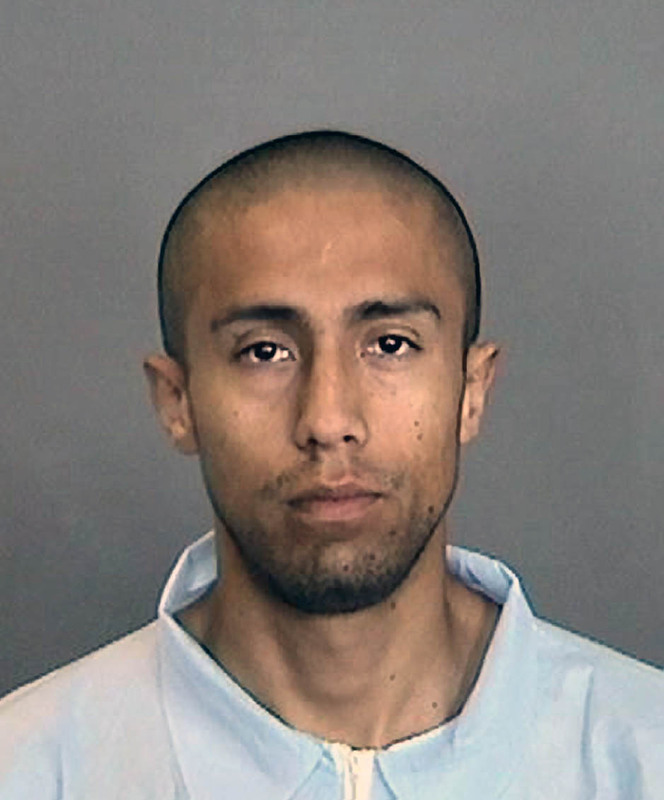 (CBS/AP) SANTA ANA, Calif. - Itzcoatl Ocampo, a 23-year-old Iraq War veteran, was charged Tuesday with four counts of first-degree murder in connection to the stabbing deaths of four homeless men in Southern California, prosecutors said. The charges include special allegations of multiple murders and lying in wait and use of a deadly weapon. The minimum sentence if convicted is life in prison without parole. Orange County District Attorney Tony Rackauckas said a panel will be convened to decide whether to seek the death penalty. The killing spree began in December, raising concerns that a serial killer was preying on the homeless. Police and advocates then went on nightly patrols to urge them to sleep in groups or seek shelter. Police arrested Ocampo when bystanders chased him down after 64-year-old John Berry was stabbed to death outside a fast-food restaurant in Anaheim, about 26 miles southeast of Los Angeles. Anaheim Police Chief John Welter said Berry had filed a report with authorities saying he believed someone was trying to follow and stalk him. Welter said, however, that authorities were working through nearly 600 leads and tips but had not gotten to that report. "It is unfortunate that we didn't get to him before the suspect did," Welter told reporters. Rackauckas said Tuesday that Ocampo chose Berry as a victim because the man appeared in a news article about police warning homeless men to be careful. He says the suspect had selected additional victims. All four victims were stalked and the killer looked for the right opportunity to execute them, he said. At least three of the victims were stabbed more than 40 times. The weapon was described as similar or the same in each of the killings - a 7-inch, single-edge blade made of heavy gauge metal. In addition to Berry, James Patrick McGillivray, 53, was killed in Placentia on Dec. 20; Lloyd Middaugh, 42, was found near a riverbed trail in Anaheim on Dec. 28; Paulus Smit, 57, died in Yorba Linda on Dec. 30. Ocampo's family said he was a troubled man when he returned from Iraq. Ocampo's own father is also homeless.